Your imploded view is installed permanently in the atrium of the Kemper Art Museum. 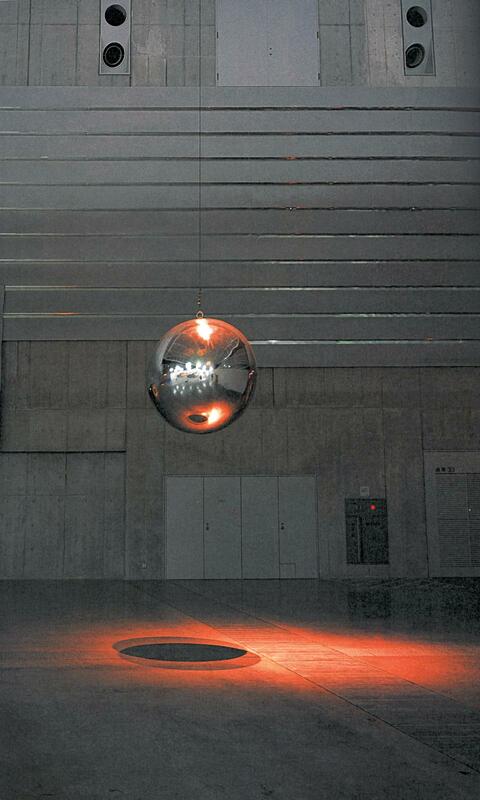 Hanging just a few feet from visitors' heads, the 660-pound mirrored ball invites viewers to see their surroundings in a different, distorted way. When the ball is pushed, it becomes a pendulum of sorts, increasing the tension and disorientation created on its reflective surface. Visitors' experiences with Your imploded view are thus dependent not only on themselves and the museum environment, but also on the presence and experience of others.